Ain’t it grand, serendipitously discovering such unexpected treasures after searching through many musty, poorly catalogued, tubs of acid-ridden files. I “discovered” the same books, unaware that Kate had found them too. 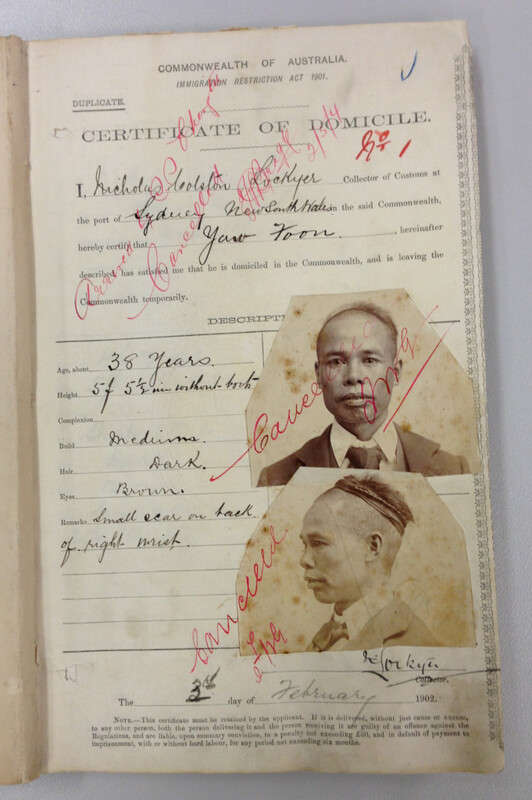 When Chinese and other Asians returned to the Port of Sydney, their copies of Certificates of Domicile, Exemption from the Dictation Test, unreturned Birth Certificates of their Australian born children and unreturned Passports, both Australian and Chinese etc were bundled up according to the vessel and date of arrival, awaiting their discovery by the zealous researcher.